"A day spa gift voucher. What a wonderful experience, a little pampering was just what I needed after working hard all year." "An air fryer. I've been wanting one for so long as my husband & I are trying to eat a healthier diet to set a good example for our kids." "Tickets to the cricket. I gave these to my husband a few years ago and also happened to book his accommodation at the same place that the Australian team were staying in. He was over the moon, got to meet his sporting heroes." "My step-father, he always says he just wants a hug on Xmas day. Aaaggh!" "Wine, well in my family it is the perfect last-minute gift!" 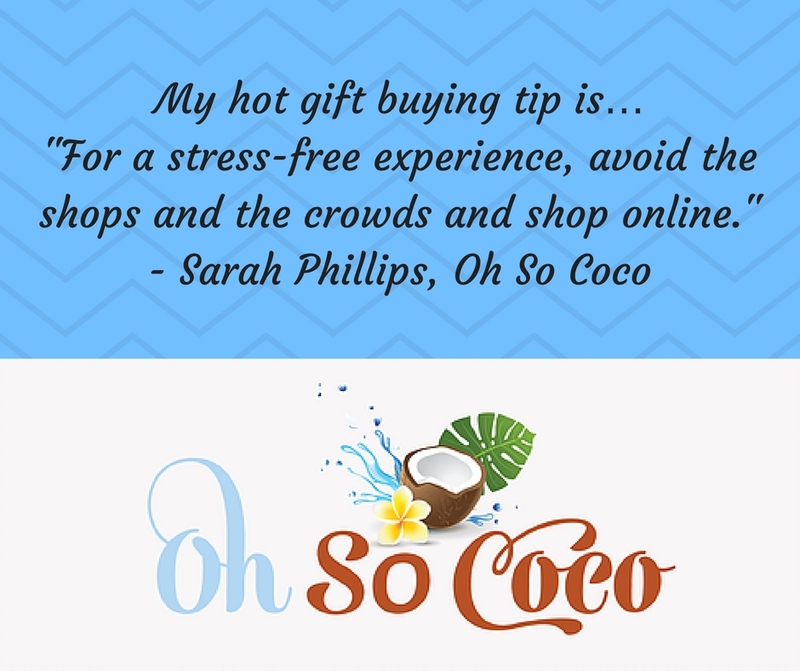 "For a stress-free experience, avoid the shops and the crowds and shop online." 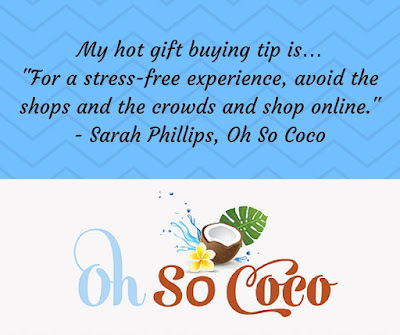 Oh So Coco specialise in luxury Coconut Bath & Body Products that are 100% Australian-made. Check out their product range at www.ohsococo.com.au.